Moisture damage to properties throughout the UK are one of the most commonly reported problems to damp proofing specialists such as ourselves. Our experienced team of contractors and technicians carry out regular damp surveys where the situation has become so severe due to misdiagnosis of previous surveys. 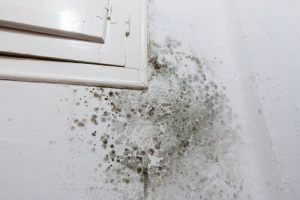 The failure to identify all areas in the home affected by damp ingress will cause greater deterioration over time and result in much larger repair costs. If you are looking to book a reliable damp survey then get in touch with our team today on 01793 272085. Our experienced team of surveyors are CSRT (Certified Survey in Remedial Treatment) and CSSW (Certified Surveyor in Structural Waterproofing) qualified. The experience of our team at Biocraft South West enables us to provide a quality and comprehensive damp survey of your entire property. You can also expect an in-depth report of the work and repair to restore your property to good health, as well as any associated costs involved. When our team of technician’s survey for sources of moisture, we carry out a full investigation of the property. This is not only to eradicate existing sources of moisture, but also to identify areas of poor damp proofing that may require a damp proof course or other remedial treatments. For aggressive forms of moisture such as rising damp and penetrating damp, we are likely to carry out further assessment throughout the property to ensure there is sufficient damp proofing throughout. Once damp proofing checks of external areas have been carried out, we turn to the interior of your property. As a damp proofing company that provide extensive damp proofing surveys for all commercial and domestic buildings, we’re able to identify all areas affected by damp ingress. If the damp proofing survey reveals no signs of rising damp, we can usually attribute the damp to poorly constructed fixtures, damage to the structure, or a potential plumbing fault. If the damp proof survey does show signs of rising damp then water could be rising through the buildings foundations. This upward flow of moisture from the groundwater rises through the buildings masonry and presents itself through peeling wallpaper, flaking plaster, and bubbling paint marks. Using a range of technical damp proofing equipment, our surveyors can determine the moisture content within walls and other structural areas of your home. Found more often than dry rot, wet rot is generally less serious than its fungal counterpart. Wet rot affects timber that has remained damp for an extensive amount of time. Influential factors of wet rot include unprotected and untreated timber, poor sub-floor ventilation, and plumbing damage. Wet rot is generally confined to the area of dampness, and if found can be treated based on the type of decay. Much more serious that wet rot, dry rot is caused by a fungus called Serpula Lacrymans. Forming on timber with a moisture content over 30% the fungus grows at an accelerated rate and requires the immediate attention of a specialist damp proofing company to treat. This accelerated growth can tear through buildings structures at a rapid rate, and can often develop under and behind structures, making it difficult to detect. The woodworm. The UK’s most commonly known wood boring insect. Often referred to as the furniture beetle, the larvae of woodworm live in wood for several years, consuming the wood as it grows. 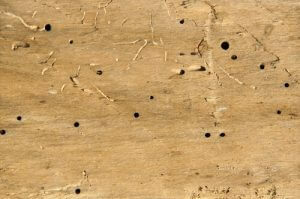 Woodworm is found in timber and other hardwoods that are above a certain moisture content due to poor damp proofing. A specialist damp survey is required to determine the type of treatment required, and the timber will likely require preservative treatments. As part of the Property Care Association, Biocraft South West are recognised for their industry-leading damp proofing services. Experts in their fields, our team of qualified and experienced surveyors can provide specialist damp proofing surveys for all damp proofing and water proofing enquiries. Our damp proofing services are carried out on a wide range of domestic and household properties and we also work on commercials properties too. We go above and beyond the industry standards, and provide guarantees for up to 20 years on all damp proofing treatments. Contact our team today to book a specialist damp proof survey on 01793 272085.